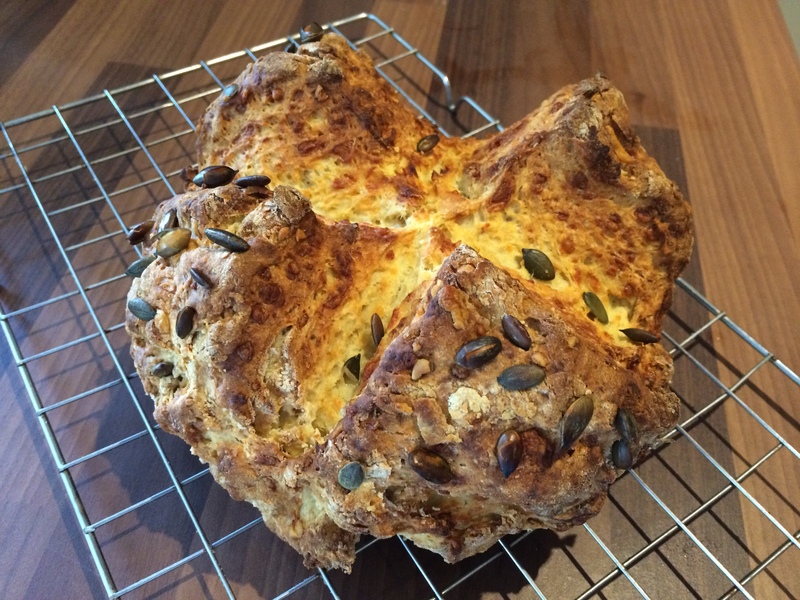 Bread is not normally my most natural bake but this recipe in the latest Country Living (November 2014) sounded yummy so I thought I’d give it a go. It’s a fairly dense loaf (like most soda breads) and pretty rustic but really tasty with a delicious crust – especially when slathered in butter. 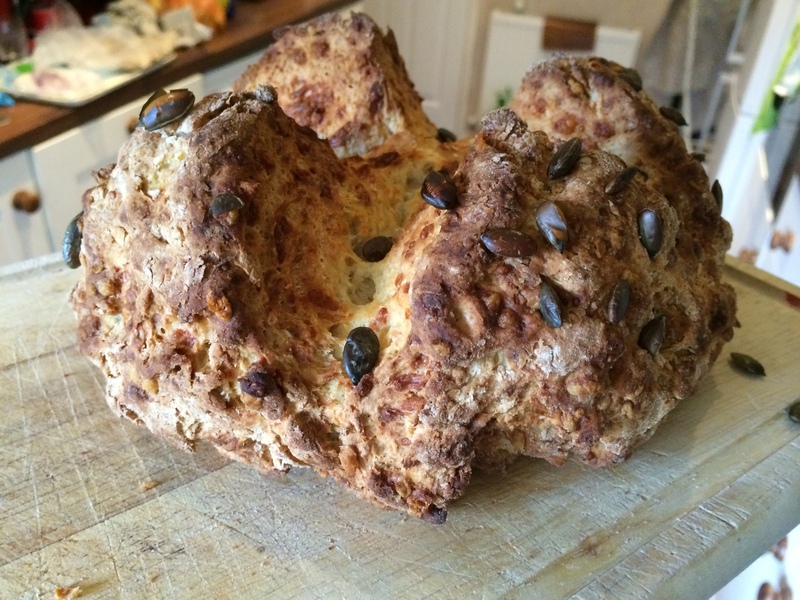 It’s the perfect accompaniment for a hearty autumn soup. And best of all it’s really quick to make and bake! Heat the oven to 200°C (180°C fan) and grease a baking sheet with oil. 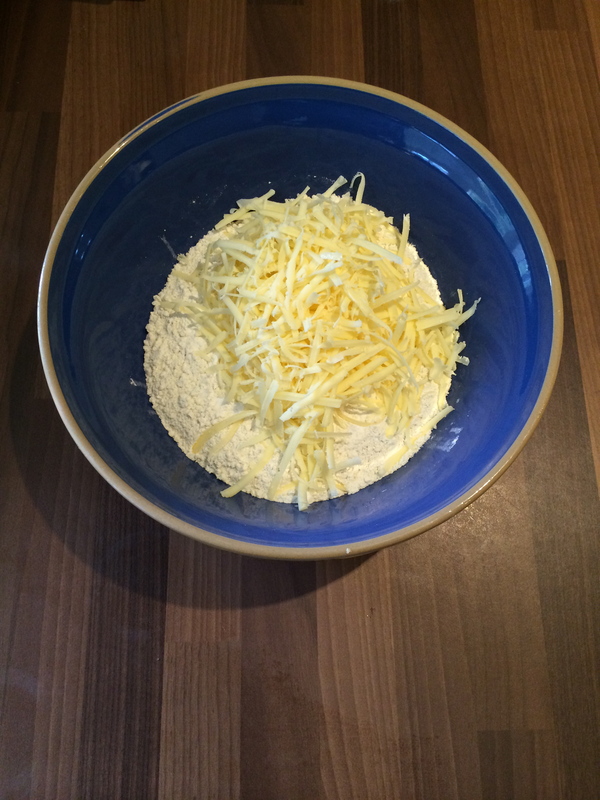 Put the flour, bicarbonate of soda and salt in a bowl and stir in the cheese. Make a well in the dry ingredients. Pour the buttermilk in and stir quickly with a wooden spoon until the majority of the mixture is combined. 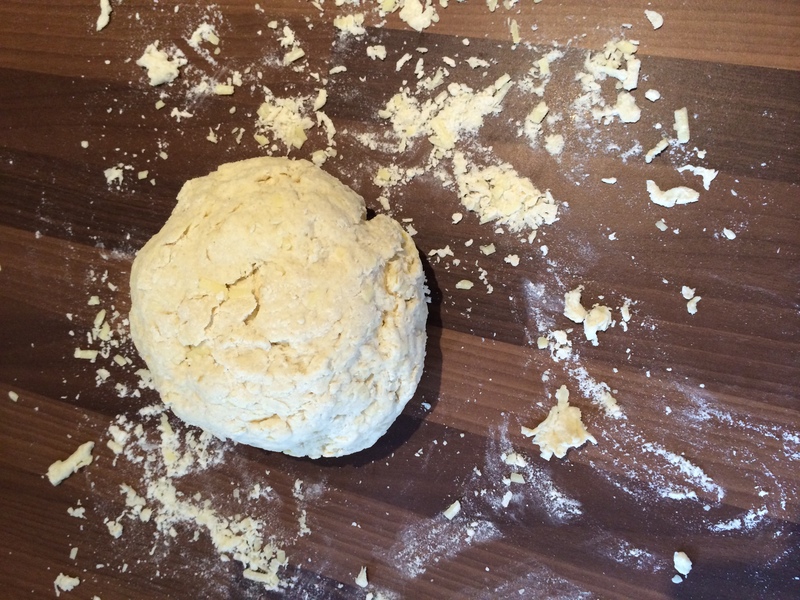 Tip the mixture onto a lightly floured surface and knead gently until it is combined. Shape into a ball and pat down into a circle about 20cm wide. 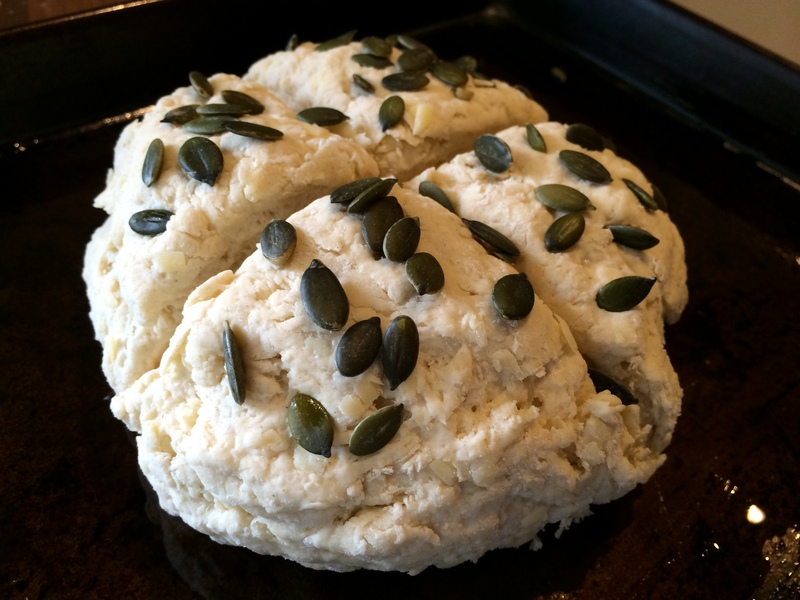 Put the dough onto the greased baking sheet and sprinkle with pumpkin seeds. 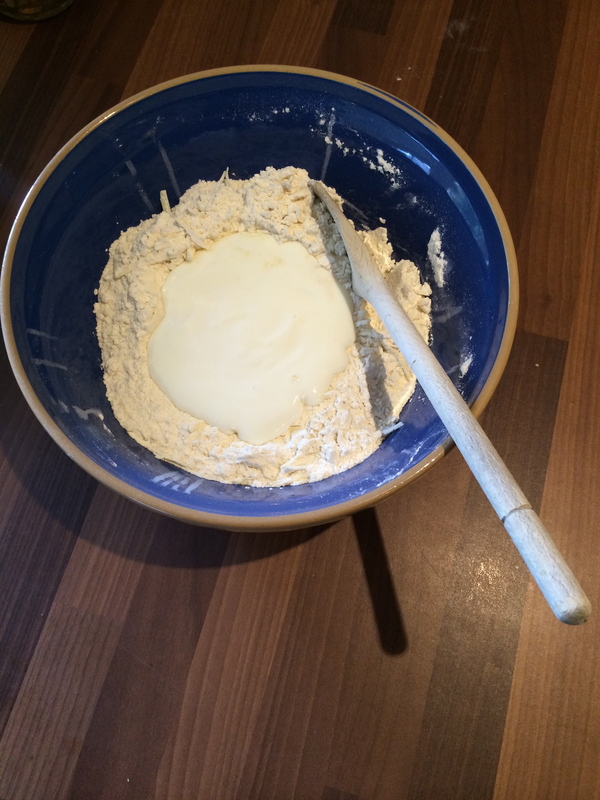 Make a cross in the dough with a knife or the back of a wooden spoon. Bake for 30 minutes or until the bread sounds hollow when tapped on the base (mine needed 35 minutes). Cool for 10 minutes before you delve in!